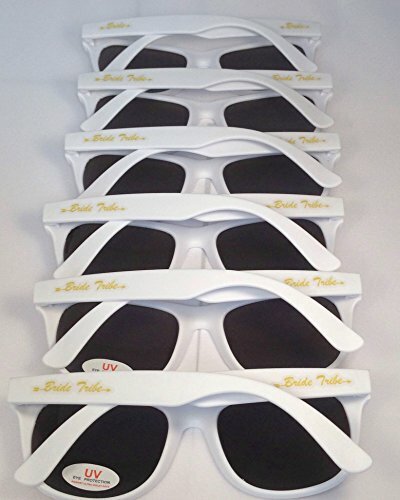 Bridal Party Sunglasses by Fabulous Shades 5 pairs of Bride Tribe Sunglasses, 1 pair of Bride Sunglasses. 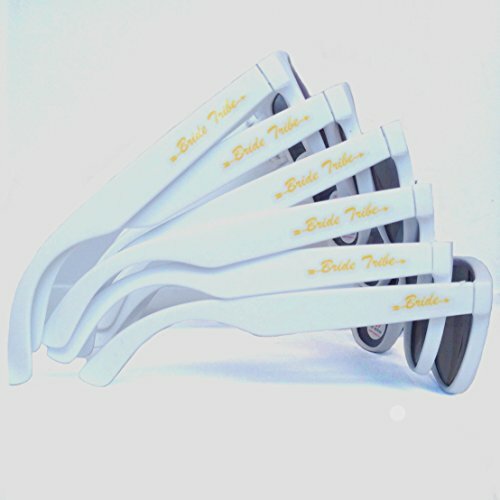 NO NEED TO APPLY SMALL STICKERS TO SUNGLASSES YOURSELF because our sunglasses are pre-labeled and ready to wear. 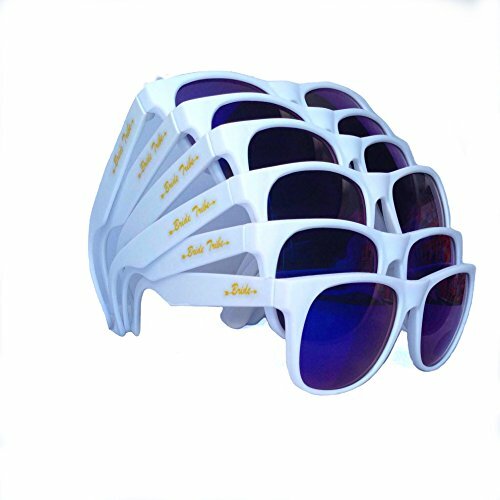 Set includes 1 "Bride" sunglasses for the Bride and 5 "Bride Tribe" sunglasses for Bridesmaids. 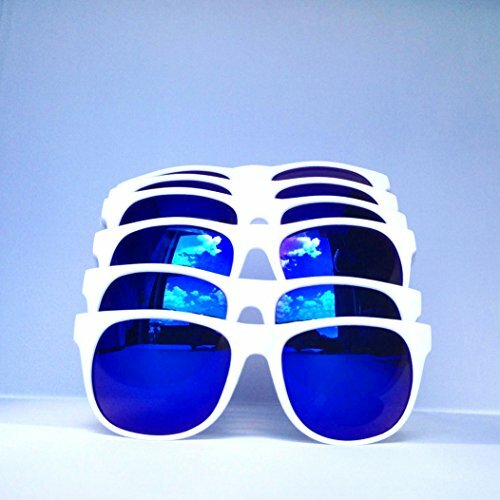 TRENDY, CUTE DESIGN, LIGHTWEIGHT DURABLE Plastic Frames. POLYCARBONATE LENSES which are up to 10 times more impact-resistant than plastic or glass lenses. 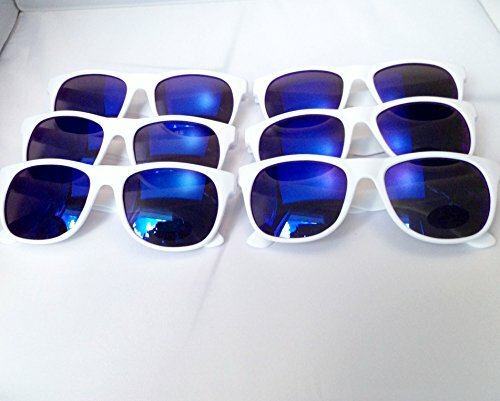 5 PAIRS OF BRIDE TRIBE SUNGLASSES,1 PAIR OF BRIDE SUNGLASSES.